The Republic of Venice was a sovereign state and maritime republic in northeastern Italy, which existed for a millennium between the 8th century and the 18th century. It was based in the lagoon communities of the historically prosperous city of Venice, and was a leading European economic and trading power during the Middle Ages and the Renaissance. The opening of new trade routes to the Americas and the East Indies via the Atlantic Ocean marked the beginning of Venice's decline as a powerful maritime republic. The city state suffered defeats from the navy of the Ottoman Empire. 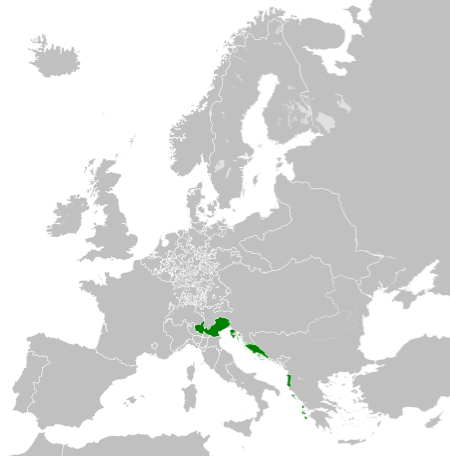 In 1797, the republic was plundered by retreating Austrian and then French forces, following an invasion by Napoleon Bonaparte, and the Republic of Venice was split into the Austrian Venetian Province, the Cisalpine Republic, a French client state, and the Ionian French departments of Greece. Venice then became a part of a unified Italy in the 19th century.